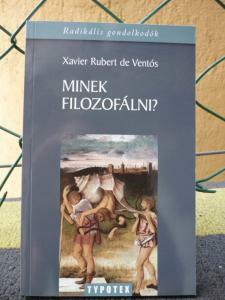 The Catalan philosopher, aesthete and politician, Xavier Rubert de Ventós visited our country for the invitation of the Typotex publishing company, since his first book translated into Hungarian has been published recently. He was born in Barcelona, he now teaches at the Barcelona School of Architecture. He was a member of the European Parliament between 1985 and 1994. 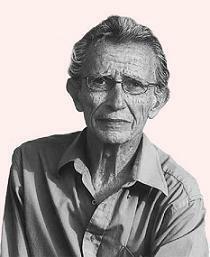 He taught as a guest lecturer at the University of California (Berkeley) and also in Latin-America. Up to this date, he has written more than twenty books. One of this, Why philosophy? (Per qué filosofia?) – published in 1983 – contains a series of lectures originally held for the audience of a television broadcast. The television program – according to the blurb – was so popular that the publisher asked Rubert to add a more personal second part to the first half of the book. 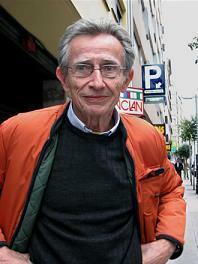 Rubert de Ventós will celebrate his 70th birthday this year. The philosopher is nothing like the gloomy person who we can see on his official homepage: his face is puckered by his peculiarly cheerful smile rather than by the weight of life. I asked him about his book, about politics, religion and of course: philosophy. 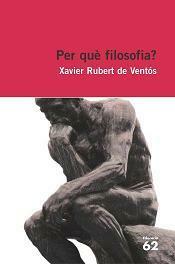 The book, Why philosophy? was published in Hungary as part of the Radical Thinkers book series. I suppose that as a philosopher you are more radical in moderateness – you are radical in avoiding overstatements. Perhaps you are radical as a politician, as a political thinker. Do you consider yourself a radical thinker? Nobody has ever asked me about this… In a previous period of Spain, when as a philosopher you could either be an analytical philosopher or Marxist or perhaps you could study hermeneutics, I was uncomfortable with everything: with modernity in general. So in a sense I am radical – also in the sense of the paradox you stated. But I’m conservative in a way. For instance, I was very many times in prison for Franco. And I was held there because I did not belong to the people who held meetings on how they can organize the painting of streets and giving away leaflets. They talked a lot about whether they should follow Tito’s way or rather be Marxists or Maoists… But I didn’t want to discuss theoretically what to do instead of doing something. I went to paint the streets, I went to strikes, I asked to do things rather than to discuss them. I was radical in my activity: that’s why I was sentenced to prison so many times. Once I had to have made a fake passport for myself to be able to teach at Harvard University. It worked, so I wasn’t caught that time. I was radical then, but I didn’t listen to those who said ‘You have to read this or you have to read that…’ I liked Silmmel and philosophers who were considered bourgeois. So this is kind of a contradiction: I was radical and also not radical. Now I’m more in tune with postmodernity. It’s not that I’m happy with it, but it’s more comfortable for me. I feel like in a way belonging to something like this. The painting on the cover of the book is titled Lie and on the back of it we can read a quotation from Chekhov, from the Three Sisters: “If they don’t give us tea, we should philosophize at least.” Lie seems to be the stating of an undoubtable truth in your book. What do you think of this? What are lies for you? Indeed, as I wrote in the book: he who understands everything is poorly informed. So it can’t be true if we state that we know everything and we understand everything. In Cervantes’ book, Sancho Panza begins to think about all sorts of things, to what Don Quijote says: “Philosophical are you today?” And Sancho replies: “Yes, I’m hungry.” He is philosophical because he is hungry. I think the relation between thinking and the basic needs is obvious. So is the parallelism between the Chekhov-quote and this passage. In my article I had an objection to your book: that the whole of philosophy is not what you call by the name ‘philosophy’ – it’s not just the doubt, the ambiguousness, looking at the other side of things. I based this on the tradition and the everyday meaning of the word. Since then, I have actually doubted my own statement… According to you, is that the whole of philosophy? And if it isn’t, what it is? So what is philosophy? I have to object to your objection. In the sense that a typical philosopher puts himself silly questions. Questions about matters that seem obvious, things that everybody would accept. Or things which we consider to be banal or evident. For instance, one question I asked myself: I wondered why is it that if we take the thermometer and we measure our body’s temperature we are all 36 °C. Then how is it that if around you there is 30 degrees, you feel hot? Another example: why the insects that go in the night look for the light? Don’t they go out in the night because it’s dark? Why are they gathering around a light source if they see one? These are silly questions, they are about things we take for granted and for this reason we don’t look for explanations. At the beginning of my book I put an example where a son asks questions from his father. The dialogue parables that any question, if you take it a little bit further, becomes a paradox. The case is the same even with the most obvious: if you go on asking, you will discover that you’ve arrived at a paradox. We shouldn’t allow common knowledge to limit our possibilities. We should take a candid look at things, a philosopher should be opened to the world. Philosophers – as I put it in my book – are those who never grow enough. As if we were still adolescents, we ask the questions what other people stop asking in their childhood. Normal people – at the age of 18 – are cured of this questioning and they turn to the so-called serious matters. This book is also about defeating yourself – or even itself: the text. The theory should go beyond the fact that it’s a theory, and you have to step over your needs and habits – by which I mean to create a theory for making the world more comfortable for yourself. Could you defeat the theory or your habits? Could you solve the paradox after all? No, since it’s a basic contradiction. Like in this sentence: “All general statements are false”. If all general statements are false, they have to include this one, too. I remember: this is the Humean paradox. In this way my book defeats what it proposes. That’s why I wrote this book. In my writings I say a metaphor and I go around it, because if I confronted with it – it would turn into a paradox. I don’t like writing. I prefer watching TV, playing football or ping-pong. But there are questions… When something happens: if a face seduces me, a fellow that irritates me, when I suddenly don’t understand what is happening to me. I only think about things that confront my expectations. If something like this happens, then instead of watching TV, playing football or tennis I have to go on writing. It’s an activity that I don’t like but it’s the cure. It is my personal need to find a cure for discomforts in my life. There is a clever saying in French: “What I dislike I dislike more than liking what I like.” My reaction is just stronger. I see those things first which don’t work. If I see something beautiful I go there but I see it immediately that something doesn’t work. All the things that make me nervous, irritate me, seduce me... So I am a pessimist in this sense. And these discomforts are those which make me write. In your book you call your philosophy more feminine than masculine. There is a feminine theory of disputation and rhetoric which says that our statements should be like offerings and we shouldn’t overrun our listeners. The way I see it, it is very close to your thought that we “shouldn’t blast our opponent with an unquestionable truth.” Still, you criticize feminism. Why and what kind of feminism do you criticize? You write it in connection with New York’s homophilia that feminists are responsible for the dissolution of conventions, elements of politeness and etiquette started to seem hypocritical partly because of them – such stratagems by which men could show their superiority to women. But – according to you – this is only half-truth. Let me tell you a story about politeness. When I was at Berkeley, there was a very likeable girl. I offered her to pass in front of me. And she shouted at me angrily… But that’s true historically that courtesy was a way of showing superiority. I understand this reaction to be reasonable. And I had two very good friends, women also at Berkeley. One of the girls was very good looking and the other one a bit homely. Both attended a job interview where the employer looked for a secretary who speaks German and French and is able to use the computer very well etc. The beautiful one showed total incompetence to everything intentionally and the other one showed competence to everything demanded. And the employers hired the beautiful one. Then the girls sued the company for falsity in the advertisement and with this trick they won a lot of money. I’ve been to a party which they organized from this money. I’m against women’s discrimination. I could say that I’m a feminist – but that would be paternalistic, too. My next question concerns your political writings. What do you mean by “the world that is morally unacceptable while politically stable”? Is it about the politics of the whole world? Yes, of course. I mean, if we watch the news it’s full of things like “Americans bombed Kosovo” or this time a different country did this to another one. And now we have become convinced that this could go on without making the world dreary. Plato insisted that it cannot be that the difference between the poor and the richer is more than a certain percent. Myself, when I was in Haitii as a member of the European Parlaiment, or in Vancouver, I saw, for instance that at places owned by the very rich they cut all the trees – every forest was clear cut. How could they do this? Of course they did this because they are not living there. The businessmen from New York pay the Indians to destroy the environment. The poorest people have no choice. It’s not only a moral issue – it’s also a survival issue for them. As far as I know, you were once a Catholic and also a Protestant later. Now you speak about God as the “commonplace by which we try to evacuate the enigma of our existence.” Could you speak about your relationship to religion at the moment? I have written a book one year ago, titled “God among other inconveniences”. I would say that I am a believer but I’m against God as an idea – that someone can create human beings. God created us good – and your own things make you responsible. Adam is responsible for his sin, then Jesus comes to pardon the fellow who has accused him. When neoliberals make the responsible for their own poverty – they must be poor because they don’t work and it’s your responsibility to work. “In the Paradise you committed sins, that’s why you have all these illnesses, pain and death” – God says. Powerful is the one who can decide if you are good or if you are bad. And the last step is saving you. This powerful person gives you something that you can’t give him back – and then you have to repeat “Thank you” eternally. That’s why Christianity is perverse – more perverse than Nietzsche described it. I am quite a believer – so I’m not denying the existence of God, I am not against it. In your book you wrote: “Nothing is as absolute as thinking about our situation, disposition or speaking about our place.” At the end of the interview could you tell me about your situation at the moment? I can’t answer your question, alas. It’s difficult to explain what is happening to you. Instead of taking ourselves as symptoms we tend to tell theories of what we are – but this is not the absolute what you mentioned here in the quoted sentence. A psychologist made this experiment in America. A speaker gave a speech to a class. Then the audience was asked questions. “What did the audience think about the speaker?” To this the answerers replied with different descriptions. But when they put the question in a different way: “What did you think?” – people couldn’t really answer. They didn’t have such an articulated opinion like the one they ascribed to the whole of the audience. It is easier to speak about our theories than to speak about what happens to us. But we shouldn’t talk about what we think about the world or politics, rather about what is going on in us. And this is very difficult, but our utterances could be more valuable this way. I do it sometimes too: it’s a trick – not to say what happens to you but talk about what you think. So I’m a sinner. A priest and a sinner at the same time.